"The Long Goodbye" National Guard Pfc. 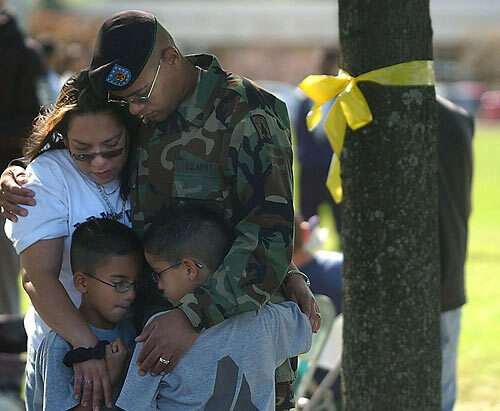 Javier Correa of Oak Creek says a long goodbye to his wife, Sandra, and twin sons, Xavier (right) and Javier Jr., after a send-off ceremony Tuesday at the National Guard armory in Oak Creek. About 80 soldiers are expected to go to Iraq.